Cheap, affordable and addictive – have been terms synonymous with tea from the time it ceased to be an elite drink of the royals to become an affordable drink of the common man. Green tea is one of the fastest growing segments of the global tea industry. It is prepared from the leaves of camellia sinensis that have undergone minimal oxidation during processes. The concept of green tea originated from China and later spread all over the world. Some of the popular Japanese green teas are sencha, gyokuro, kabusecha, matcha, tencha, genmaicha and hojicha. The journey of tea in India has indeed been fascinating and interesting. 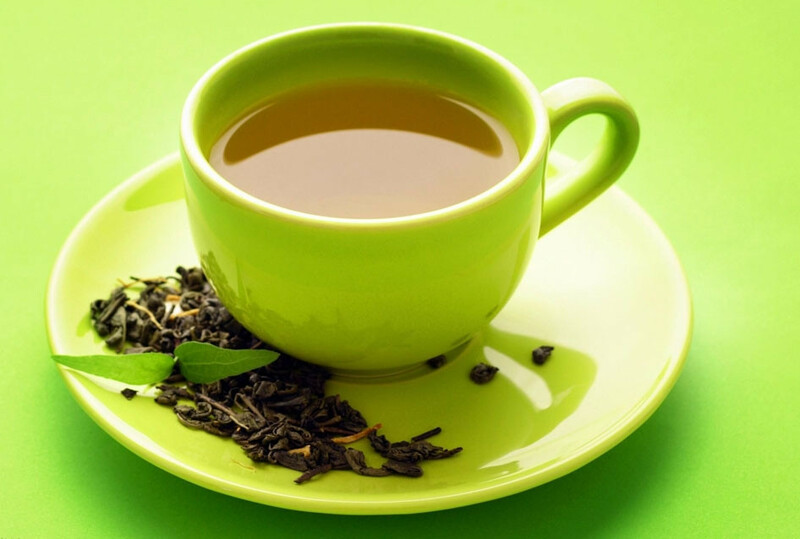 With rising health awareness, Indians who are majorly black tea drinkers, are now showing interest in green tea variants. Green tea is becoming an acquired cultural habit that is being driven by urban India’s urge to stay fit. Though presently green tea penetration in India is less than five per cent, however its demand is not just limited to metros and Tier I cities, but has also come to include Tier II and Tier III cities which have started consuming this drink on a regular basis. As a result of this growing penetration, the green tea market in India which is presently pegged at approximately Rs 150 crore has been growing upwards 50 per cent year-on-year. With urban Indian consumers buying green tea for its many health-promoting benefits, manufacturers are increasingly focusing on making premium variants available in all retail channels, especially in modern grocery retail outlets. For instance, consumers are spoilt for choice with tea products of companies such as Organic India, GAIA Herbs, Twinings, Typhoo, as well as big FMCG giants like Hindustan Unilever, Tata Global Beverages, who are either launching new variants or re-launching their green tea product range. Moreover, GAIA Herbs has also introduced green tea variants, namely cardamom, and honey and lime, to cater to an increasing number of health-conscious consumers in urban cities. International manufacturers are also expanding their presence in institutional channels, including hotels, to generate awareness of their premium brands. Tetley, sold across 40 countries and a part of Tata Global Beverages, has six flavours in its green tea portfolio including ginger, mint, lemon, honey and lemon, citrus and spice, and aloe vera. The company enjoys a market share of 35-40 per cent. Though in the total tea revenues of Tata Global Beverages, green tea currently has a very small share vis-a-vis black tea, the company expects the green tea segment to contribute significantly in the coming years. And with the increasing emphasis on health and wellness, the potential for categories within tea is immense. For Twinings, India is one of the top five growth markets. The company, that has about 35 per cent market share in the premium and super premium teabag category in the country, is looking at increasing its business in India five-fold in the next five years. India is the third largest tea sourcing country for Twinings after China and Kenya. The company is a big buyer of Darjeeling and Assam teas and is increasingly buying tea from the Nilgiris. Twinings is part of Associated British Foods. Their range of green teas in the India market include green tea, green tea and lemon, green tea and mint, Earl Grey green tea, jasmine green tea and lemon and honey tea. Also to stay ahead of the race, Wagh Bakri Tea Group has been offering one of the largest green tea ranges in India consisting of green tea, organic tea bags and regular green tea. The company also has different flavours across its green tea range like green tea mint and green tea tulsi and is currently working on expanding its green tea range under its wellness category. Apart from major Indian cities, Wagh Bakri Tea Group is also aggressively marketing its green tea products in Tier II and Tier III cities. Though at present, the company’s green tea revenue compared to normal CTC is negligible but in one to two years the green tea category is expected to comprise of 10 per cent of the company’s overall sales. 20150315eh88According to the World Health Organisation (WHO), the overweight population is expected to reach 1.5 billion by 2015 and growing healthcare costs in the US alone is expected to cross US$ 117 billion; all this is creating major opportunities for the growth in sale of weight management products such as green tea. Rising consumer awareness about the benefit of green tea in curing various diseases further triggers the global market of green tea. Asia Pacific contributes the largest market of green tea in the world. Apart from India, countries like Hong Kong, Taiwan, Japan and China are growing markets of green tea in this region. Rising population and healthcare awareness is further expected to boost the green tea market in Asia Pacific. Europe is the fastest growing market for the green tea industry. Major companies operating in the global green tea market are AMORE Pacific Corp, Arizona Beverage Company, Associated British Foods LLC, Cape Natural Tea Products, Celestial Seasonings, Finlays Beverages, Frontier Natural Products Co-Op, Hambleden Herbs, Hankook Tea, Honest Tea, ITO EN, Kirin Beverage Corp, Metropolitan Tea Company, Northern Tea Merchants, Numi Organic Tea, Oishi Group Plc, Oregon Chai, PG Tips, Pukka Herbs, Qi Teas, The Kent Tea & Trading Company, The Republic Of Tea, The Stash Tea Company, Uncle Lee’s Tea and Yogi Tea.